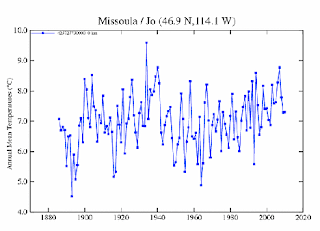 Well, having just written about the coal that will be leaving Montana in the coming decades, perhaps it is time to look at the temperature history of the state. Montana has two GISS stations, at Billings and Missoula, and 44 USHCN stations, which seem concentrated more in the western half of the state. 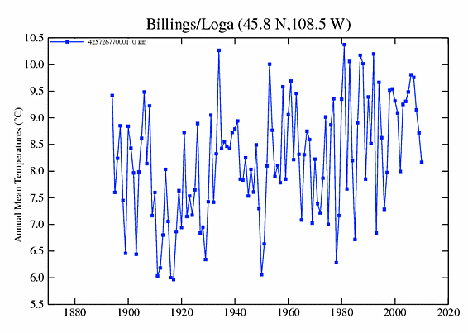 So first the download of that data, and I note, in passing that there is a full set of data for both the GISS stations in this state. 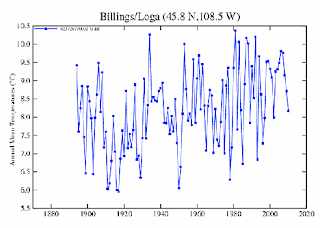 For at least this part of the world there hasn’t been, according to GISS, a whole lot of change over the past century or so, and 1934 is clearly up there, though it was hotter in parts of the state in the early 1980’s, when there was a bad drought in the state. 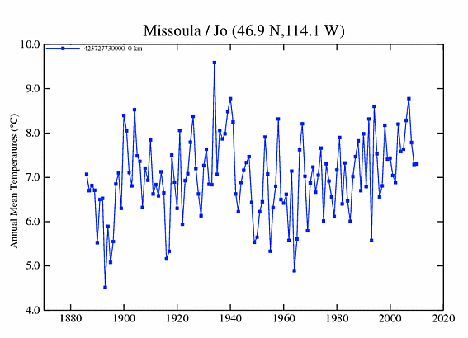 The difference averages some 3.5 degrees F, and has only slowly declined over the century. 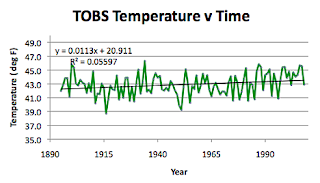 The homogenized data after it has been adjusted shows that that the temperature rise was rather at a rate of 2 deg per century, rather than the 1.1 deg shown by the raw data. 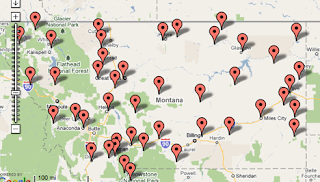 Montana stretches 559 miles from East to West and 321 miles from North to South. It sensibly runs from 104W to 116W in Longitude, and 44.5N to 49N in Latitude. The highest points is at 3,901 m, and the lowest at 548 m, with the mean elevation being at 1,036 m. The USHCN stations are a little above this (1105 m) on average, though the two GISS stations lie around 960 m and are below it. They are also in the largest communities on the list. Flatwillow was difficult to find a population for, but with only 490 folk in the county, I used 50 as an estimate. Forks turns out not to be Three Forks but rather what appears to be a very small community, to which I assigned a population of 40. And although the Fort Assiniboine station continues, it is serviced out of Glasgow, so I am going to give it a population of 1. Hegben Dam lies 20 miles south of West Yellowstone, and can attract an audience concerned with its fate and there are vacation homes on the lake, which attracts fishing folk. So I gave it a population of 100. Norris Madison is by a pumping station on the river, so after a quick glance using Google Earth, I will estimate the working population at 10. The rest I was able to find data for, usually through the citi-data sites for the communities. So what does the geographical data say? 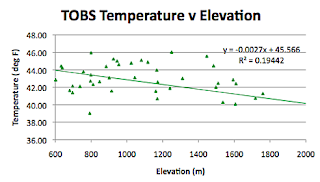 But with the high variations in elevation there is a clear correlation with height of the station above sea level. 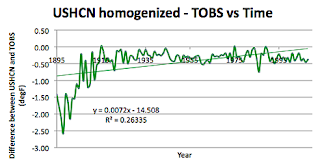 The communities of the state were, in general quite small, but nevertheless there is a correlation to a log:normal relationship, as has been found in the other states. And again, I wish you all a Happy and Prosperous New Year! Happy New Year to you, HO! Lang may yer lum reek, as people used to say in happier days. 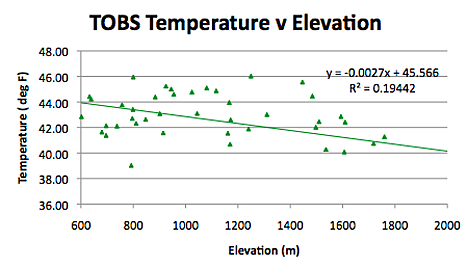 I remain puzzled by the correlation of temperature to elevation, similar to what you have shown in other states. 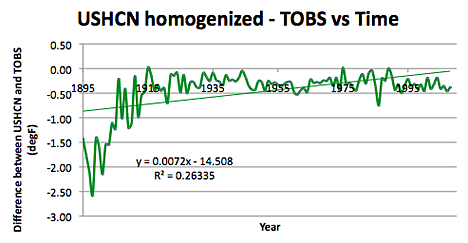 Presumably, the TOBS temperature you used in that plot was a time average for each elevation. That would be expected to average out a lot of year-to-year weather variations and leave us with something approximating the adiabatic atmospheric lapse rate. The lapse rate is very well established physics, and would be expected to show a temperature variation with altitude of around 3 deg F per 1,000 feet. If I am doing the conversion of the -0.0027 deg F per meter in your correlation correctly (always a big if! 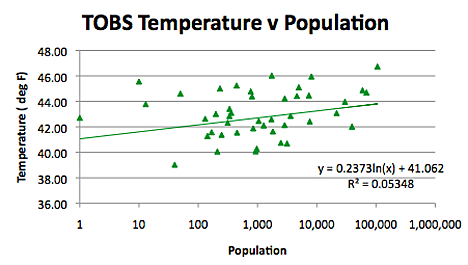 ), the data shows an apparent lapse rate of only 0.8 deg F per 1,000 feet -- only a fraction of what would be expected. The R-squared for that correlation is only 0.19, suggesting that elevation explains only a small part of the temperature variation. But this is the simple physics part, where we would expect a high R-squared! 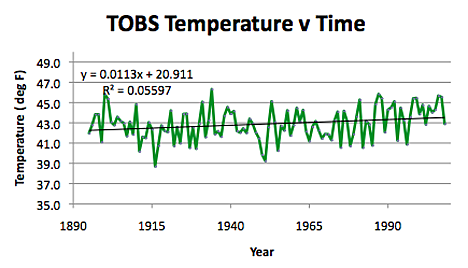 The examination of anomalies has been a major driver of scientific advance (e.g. the inconsistency between the movements of the planet Mercury and Newton's theory of gravitation). 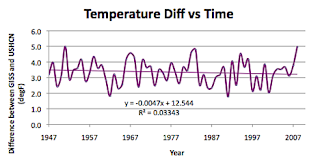 The inconsistency your analysis has shown between reported temperatures versus elevation and standard thermodynamics may be equally enlightening. Although I guess that thermodynamics is secure! Thanks for the thoughts, what I am planning on doing when I have a few more data points is starting to cross-correlate results from different states. If the larger communities tend to be in lower elevations (possibly along river routes) then this may also accentuate the differences. 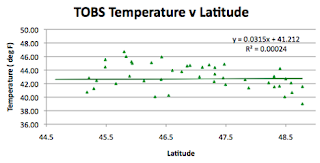 I am moving to consider latitude, elevation and population as the three major geographical influences, but I would prefer having more data over a greater range before trying to pin the relationships down a little more.